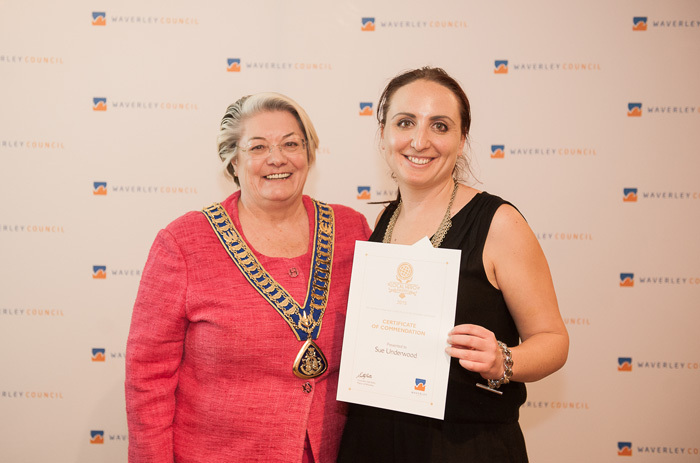 On Thursday 13 August, Waverley Council hosted a cocktail evening at Easts Leagues Club to honour and celebrate the achievements of Waverley's Local Heroes. 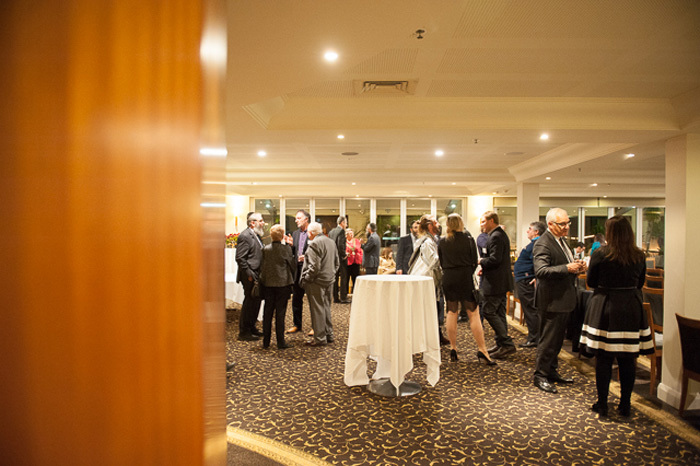 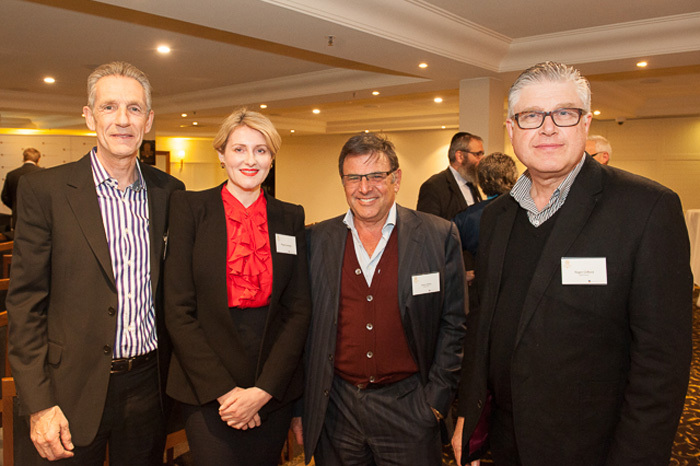 This year we welcomed as Council's guest VIP attendees The Hon. 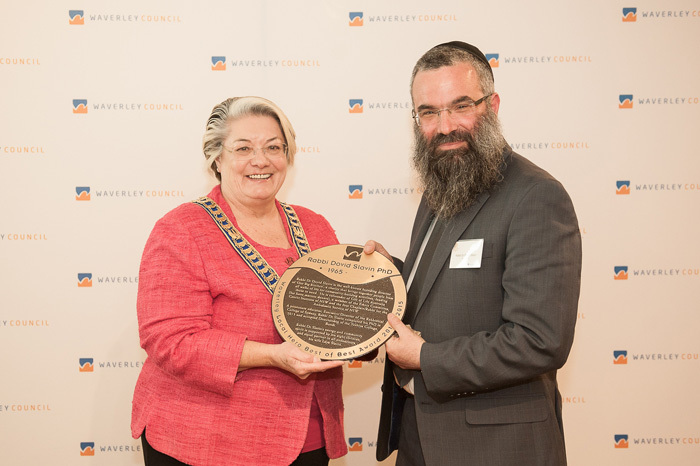 Gabrielle Upton, Attorney General and Member for Vaucluse along with the Mayor of Waverley, Waverley Councillors, General Manager of Waverley Council. 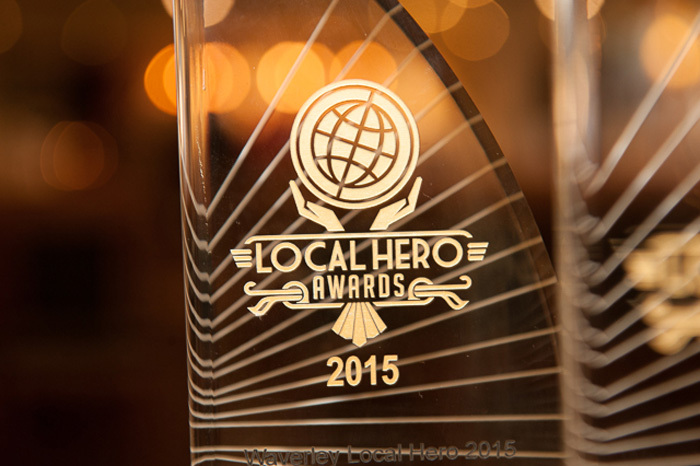 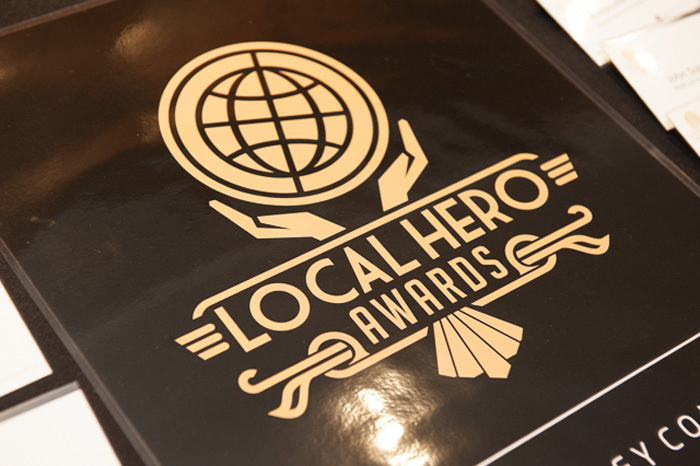 The Mayor of Waverley, Councillor Sally Betts announced Waverley's Local Hero Awards 2015 incorporating the Best of the Best 2011-2015. 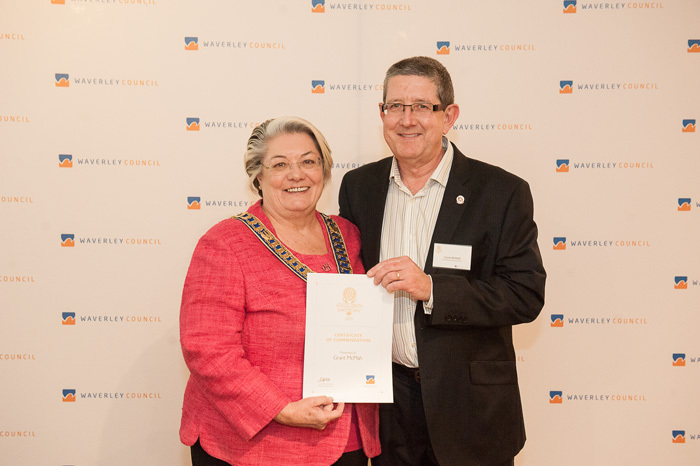 Since 2005, Waverley Council has recognised and rewarded its community leaders. In 2011, Council decided to award a ‘Best of the Best’ award every four years with a bronze plaque installed within the beach promenade, known as the ‘Recognising Our Community Leaders’ Walk’. 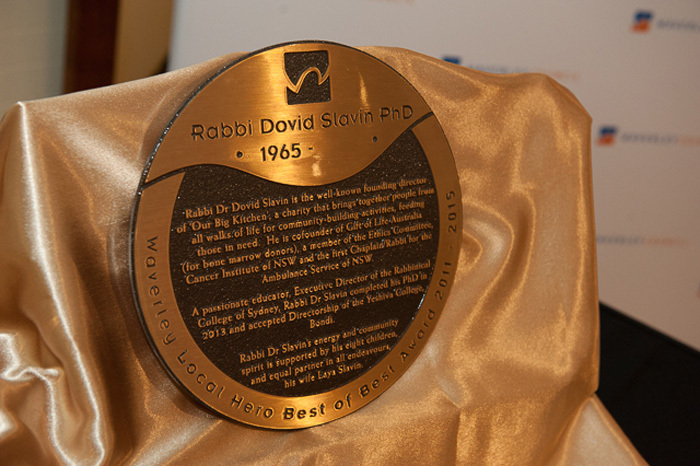 This year Rabbi Dr Dovid Slavin, from Our Big Kitchen and The Yeshiva College will join 12 Local Heroes on the walk as Waverley's Local Hero ‘Best of the Best’ Bronze Plaque Award (2011─15) winner. 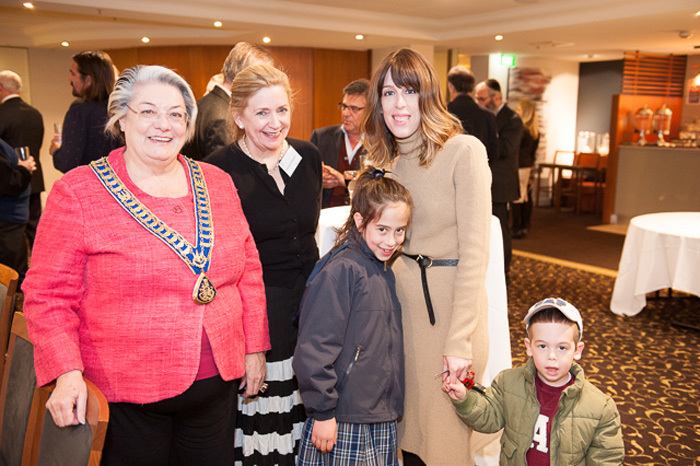 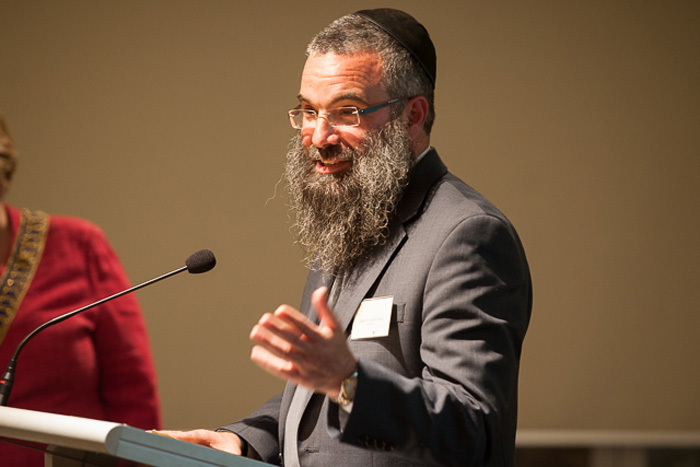 Rabbi Dr Slavin's other volunteer roles include being Chaplain/Rabbi of the NSW Ambulance Service and co-founder of Gift of Life Australia, a register of prospective bone-marrow donors. 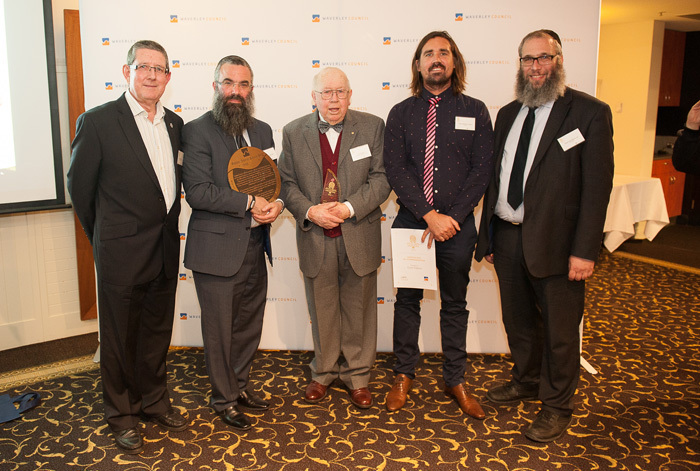 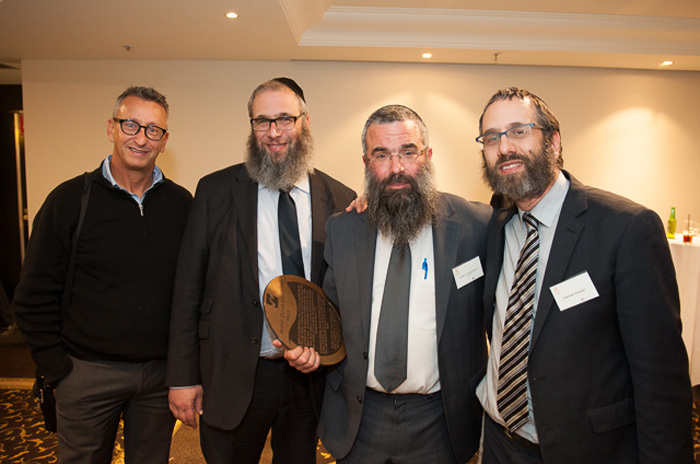 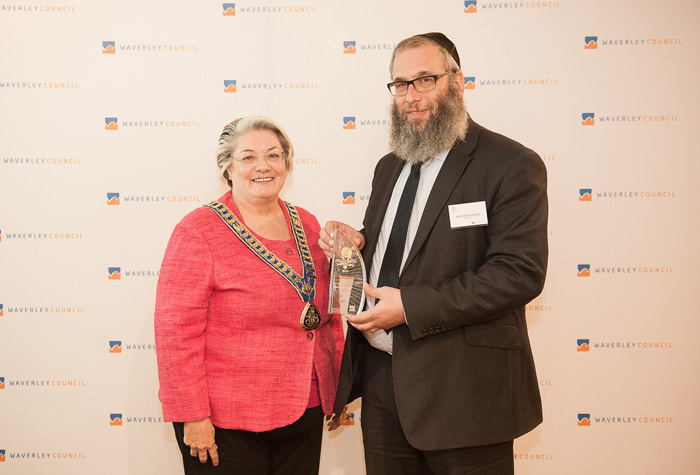 2015's annual Waverley Local Hero Award winner is Rabbi Mendel Kastel from Jewish House, two non-denominational crisis accommodation centres located in Bondi. 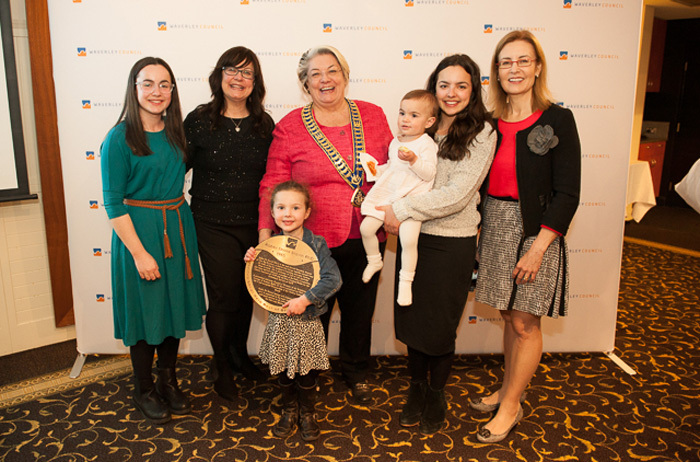 Jewish House, assists over 1100 clients per year, is a safe place for victims of domestic violence and their children and offers a 24/7 local crisis phone service. 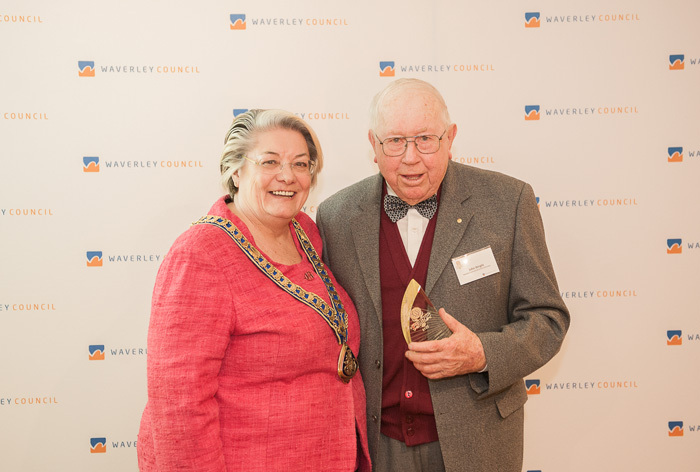 This year the Mayor presented a special Waverley Lifetime Achievement Award to John Wright OAM. 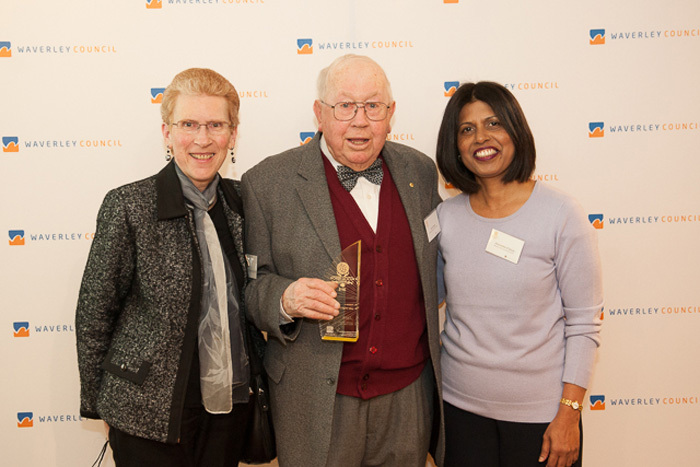 John has been volunteering to help others and shape our community for over 60 years and, at the age of 92, he is still going strong. 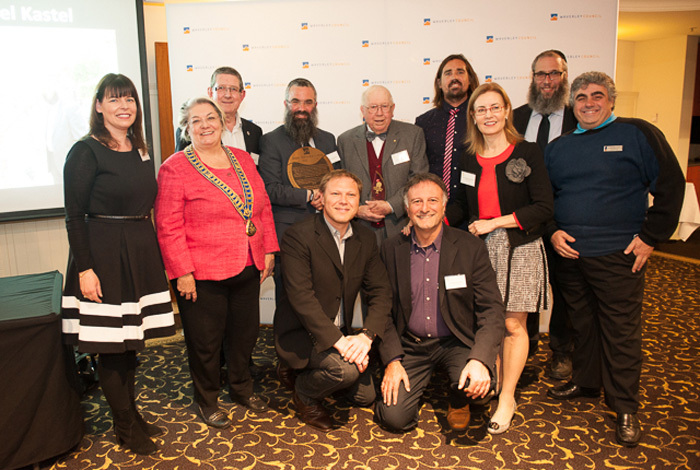 A founding member of Waverley Men's Shed, he is active on several local and Council run committees. 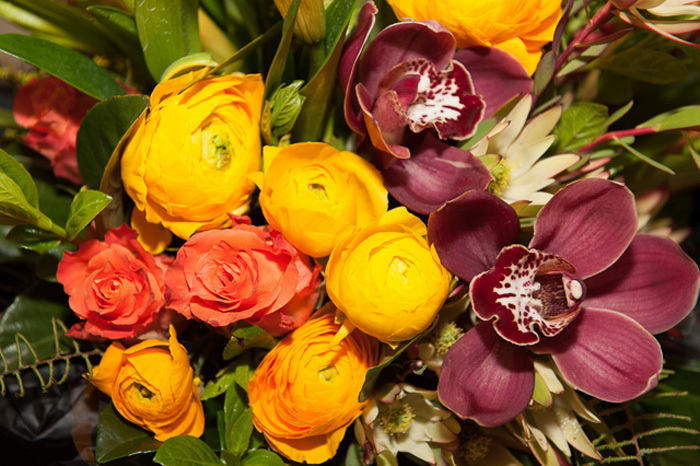 John is also an active member of St Mary’s Waverley, and for over 40 years he's helped to preserve the historic church and gardens for the benefit of the community. 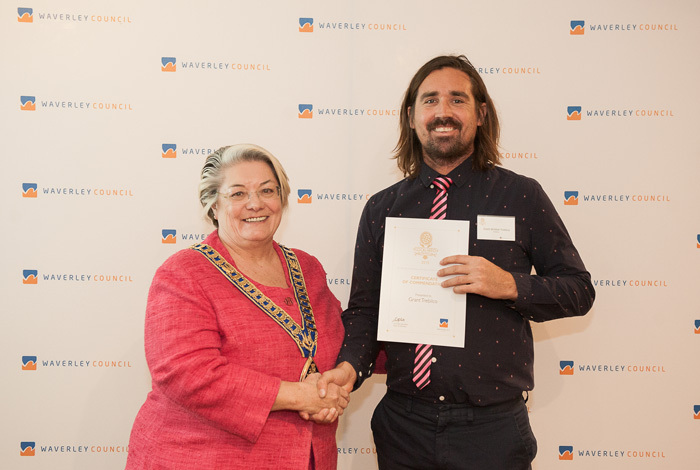 Grant Trebilco, co-founder of OneWave - tackling mental health issues with a simple recipe of salt-water, surfing, good mates and Fluro Fridays. 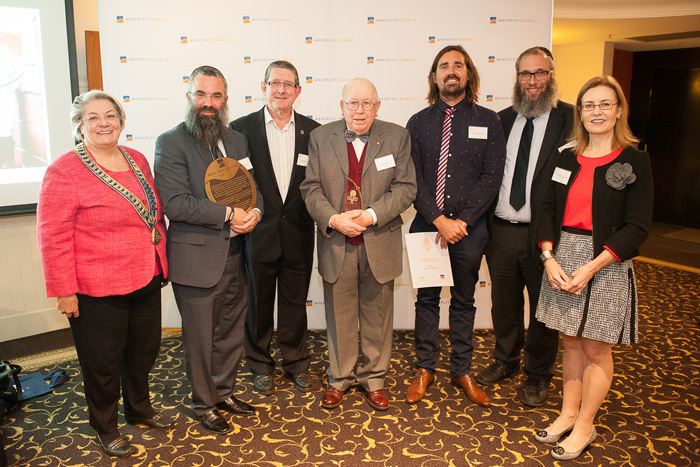 Grant McMah, North Bondi Surf Club - recognising 38 year of club service (11 years as president 2003─2014), his significant contribution to the construction of the new club house and his ability to inspire hundreds of young surf life saving volunteers. 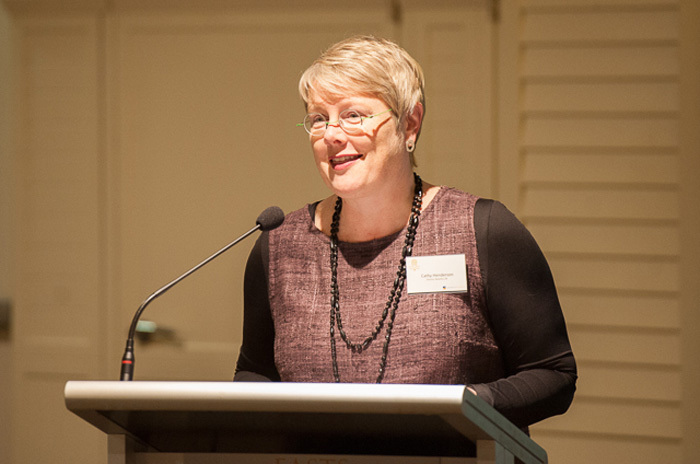 Sue Underwood, Beaches Outreach Project (BOP) - providing after hours crisis help, first aid, and emergency contact. 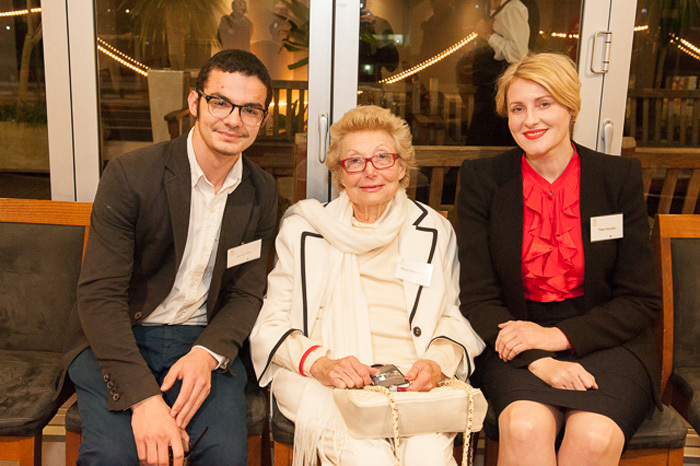 Over a year, Sue encounters over 2,00 young people aged between 11 and 24 years on BOP's Friday night patrols.